How Far is ABD Sunrise? ABD Infra India (P) Ltd has launched yet another project in Bangalore. ABD Sunshine is located in Mysore Road. ABD Sunshine is one of the popular residential developments in Mysore Road (Kengeri Bidadi), neighborhood of Bangalore. 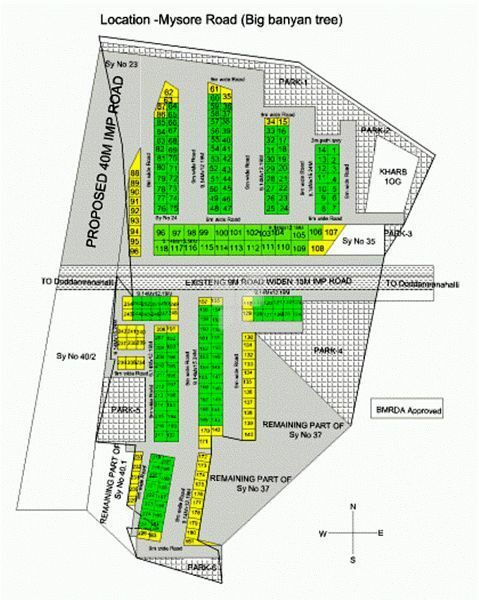 It is among the ongoing projects of ABD Infra India (P) Ltd. It has lavish yet thoughtfully designed residential plots. The Project is located Off Mysore Road (NEAR BIG BANYAN TREE ) Located at Chunchanaguppe Village , easily accessible from all parts of the city as public transports are in place like bus, trains & autos, easily connected to Bidadi, Ramanagar, Tavrekere, Magadi Road and other parts of city. Dimensions available are 30*40, 30*50 , 40*60 and odd dimensions. • Near by Hospital and Mall.